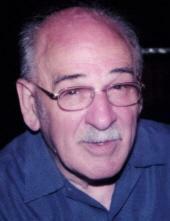 Louis F. DiLossi, Sr, age 83, of Drexel Hill, PA, passed away on March 31, 2019. Born in Philadelphia,PA, he was the son of the late Joseph and Mary DiLossi (nee Habermehl). Louis served in the United States Army during the Korean War era. He had been employed as a Freight Handler with Emery Air Freight. He was a member of the Teamsters Union 500. Louis was a loving, strong, loyal, humorous and devoted man. He had a strong belief in his Lord. He enjoyed visiting the New England area in the Fall, gambling in Atlantic City and Las Vegas. He also enjoyed his military time spent in Germany. In addition to his parents, Louis was predeceased by his first wife, Eleanor DiLossi (nee Aloi), his sisters-in-law, Joyce and Donna, and his brother-in-law, Blaine. He is survived by his beloved wife, Betty DiLossi (nee Keller), his loving children Theresa Ann Regan (Jim), Maria Elena Aiuto (Frank),Joseph DiLossi (Barbara), Louis DiLossi (Carolyn), Hank Robinson (Signe) and Mark Robinson(Charmine). Brother of Joseph DiLossi, Robert DiLossi and Dorothy Adams. Also survived by his 19 grandchildren, 9 great-grandchildren, his sister-in-law, Delores Shimmel (John) and his nieces and nephews. Relatives and friends are invited to his viewing Friday, April 5, 2019 9:30-10:30 AM at BlessedVirgin Mary Church, 1101 Main Street, Darby, PA and to his Funeral Mass at 10:30 AM.